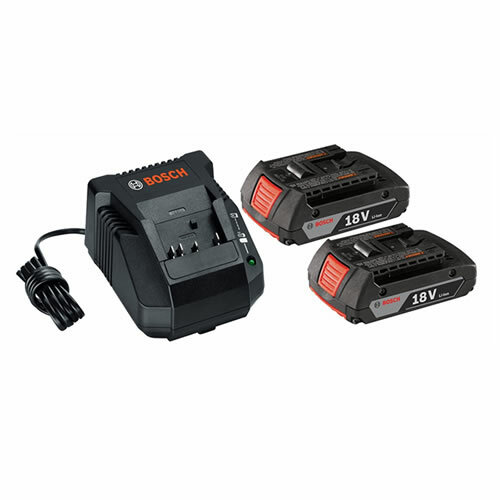 Bosch’s SKC181-02 18V 2.0 Ah Lithium-Ion Batteries and Charger Starter Kit combines Bosch's precise engineering with optimal performance. The cells are extremely robust and supply high surge currents with minimal energy loss. This kit is ideal for building your line of Bosch accessories and is compatible with all 18V Bosch tools.